Colleen is a long time fibre artist. Early endeavours with sewing and knitting soon transformed into weaving and spinning. Now she combines all those skills in her fibre art. 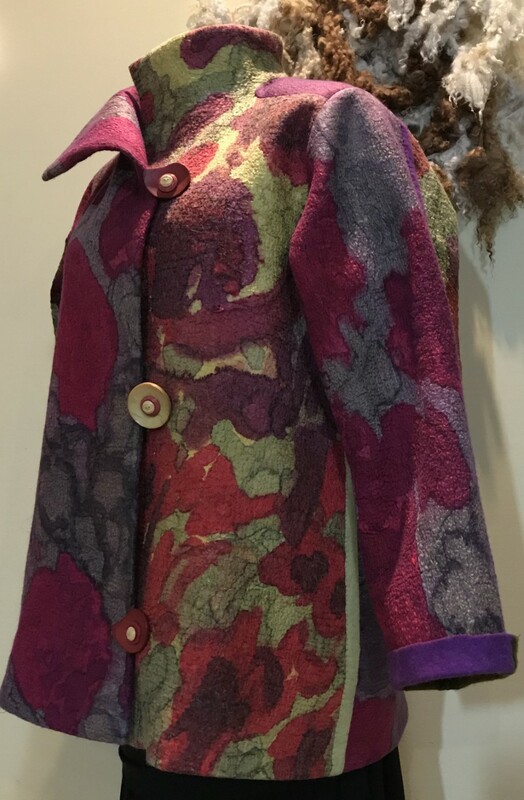 Embellishing her felt with stitching, printing and 3D effects result in unique wearables and decorative pieces. 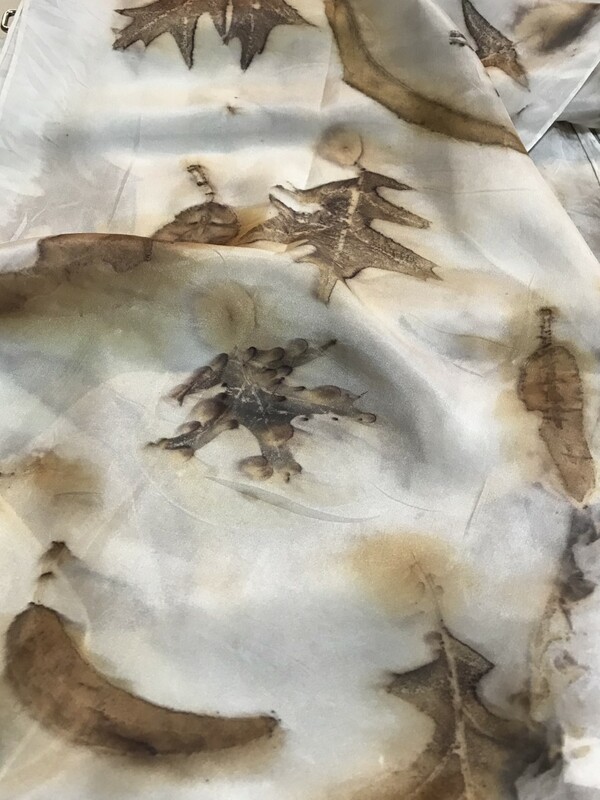 Botanic printing on silk is the latest addition to her skill set.